Green, Safe & Clean - BoxiToyz - Play Like Yesterday! Kids ALWAYS end up playing with the box - but is the used box they play with safe....? We all have no doubt had our parents cobble together a large dirty box, plucked off the roadside or from the garage to help us stay entertained! However - there are many proven health risks associated to spending time playing with used boxes; one of the reasons BoxiToyz stands by it's principals when sourcing box material made from re-cycled materials. All our products are perfect for environmentally considerate families, with each product being made from recycled material - in turn being 100% recyclable when the time comes.... another reason we all feel good about BoxiToyz! Going green means recycling as many materials as possible in order to both reduce what's going into the waste stream and to get more life out of disposable products. While reusing cardboard cartons might seem like a good idea, sources of contamination both in the cardboard itself as well as from outside sources often pose potential health risks. Cardboard's high carbon content makes it an ideal environment for all types of bacteria to breed in. 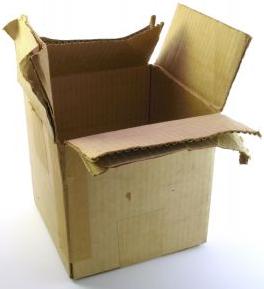 Cardboard cartons also provide a home for roaches and other insects that live in dark, damp places. Roaches are also highly attracted to cardboard that has been contaminated by foods, which is how they find their way into homes.